Millions of people suffer from chronic Pain. Unfortunately, too many people are now addicted to or dying from an overdose of opioids (a class of drugs either derived from, or chemically similar to, compounds found in opium poppies). Opioids include legal prescription painkillers like oxycodone (OxyContin®), hydrocodone (Vicodin®), morphine, codeine, fentanyl, and others. Heroin, which is illegal, is also an opioid.1 But now, there are alternatives. CBD (Cannabidiol) is one of the 150+ naturally occurring Phytocannabinoids found in certain strains of hemp and in all cannabis plant strains. It is legal in many places and is used in the management and treatment of chronic pain, PTSD, anxiety, anxiety disorder, depression, diabetes type 1, diabetes type 2, seizures, and in conjunction with allopathic approaches to diseases including cancer chemotherapy and radiation therapy. Anecdotally CBD is being used with positive results by patients for almost every illness. CBD, unlike Δ9-THC (Tetrahydrocannabinol), is a non psycho-active compound of cannabis. It’s use and popularity as an alternative to pharmaceutical drugs is growing worldwide despite difficulties, ambiguities and, in some cases, contradictory legal status in some states and countries. 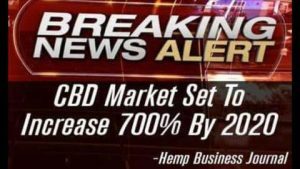 In the USA the consumption of CBD hemp oil is federally legal, since CBD hemp oil falls under the same importation and commerce laws as other hemp products. Some US states have not enacted legislation specifically relating to CBD hemp oil and continue to use high THC cannabis laws to govern the status of CBD. At the same time many states have legislated to legalize or decriminalize cannabis. Most states have detailed information relating to the legal status of recreational cannabis, CBD, and what is increasingly referred to as ‘medicinal cannabis’. up-to-date state specific info can be seen at Legal history of cannabis in the United States (in Notes). In 1939 Irishman William Brooke O’Shaughnessy introduced cannabis extract to American pharmacies and thus began it’s popularity as a remedy. A wide range of cannabis extracts became freely available and could be gotten from travelling doctors, ‘snake oil salesmen’, and apothecaries across America and Europe. The general lack of controls and regulation at the time lead to some deaths and injuries linked back to supposed cannabis extracts. Unscrupulous makers produced formulations that were of questionable quality for quick profits and some cases the ingredients were toxic or poisonous. This unfortunate practice was widespread across the profitable field of medicine and remedies. As result, in 1906, The Pure Food and Drug Act was passed by the United States Congress. It required that certain special drugs, including cannabis extracts, be properly and correctly labeled with contents. Prior to this many drugs were marketed as ‘patented’ medicines with ‘secret ingredients’. The new regulations, however, did nothing to stem criticism about the availability of narcotics in particular and around 1910 there was a new round of legislation aimed to strengthen requirements for their sale and remove ‘loopholes’ in poison laws. The 1910 revisions were designed to restrict all narcotics, including cannabis, as poisons therefore requiring a doctors prescription and limiting sales to pharmacies only. The first instance of the 1906 Act was enacted by the District of Columbia in the same year as ‘An act to regulate the practice of pharmacy and the sale of poisons in the District of Columbia, and for other purposes’. The act was again updated in 1938 to the Federal Pure Food, Drug, and Cosmetics Act of 1938 which is still current as of the early 21st century. To date, marijuana remains under this law defined as a “dangerous drug”. 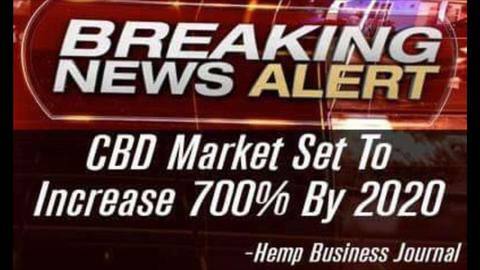 CBD as a separate substance or as an ingredient of other products is legal across the USA since it is a hemp extract however when purchasing people should check their specific local and national laws.